"... his career-defining triple-platinum album put the punk back in James' funk ..."
"... the definitive 80s funk album ... 20 years later, the impact of this incredible record is crystal clear ... an important album that cleverly combined funk with rock and even New Wave elements. In 1981, it was ahead of its time." 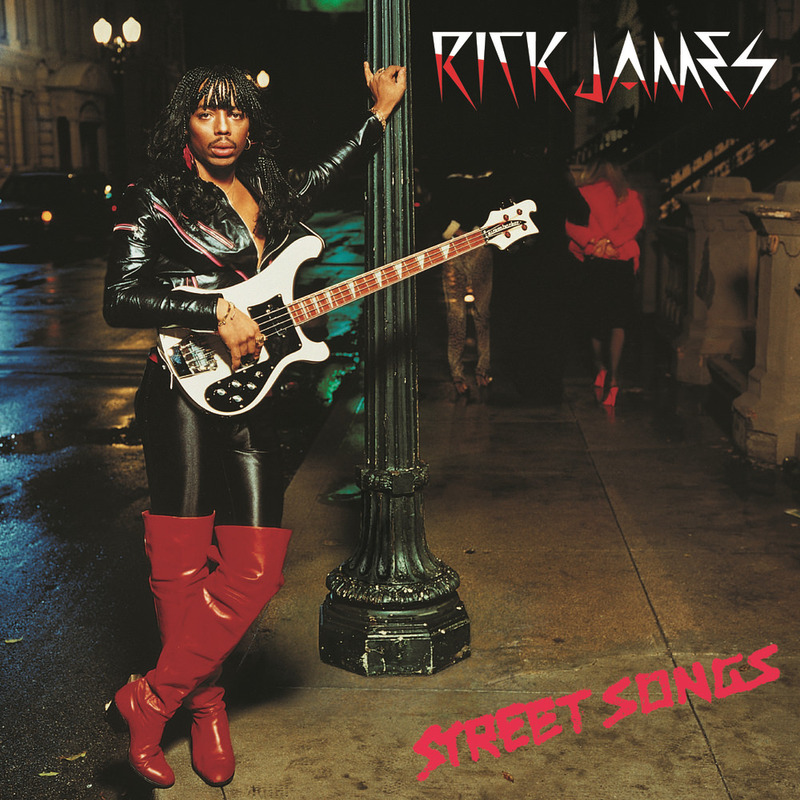 One of Rick James's biggest hits, this 1981 release hit number three on the mainstream Billboard album chart and spent 20 weeks on the Billboard R&B chart. An immediate smash, within three months of release Street Songs had sold a million copies in the US; over four million copies were sold around the world by 1983. The success of this album was propelled by James's signature song Super Freak, often sampled over the years, which topped the dance charts for three weeks. Also contains Give It To Me Baby, another number one dance and R&B single.